Whether you’re moving to the frenetic flutter of an Irish jig, listening intently to Latin jazz, or just trying to figure out how on Earth throat singers are making the sounds they’re making, expanding your musical horizons by listening to international music can make your world feel bigger. Brighter. More diverse. Even more importantly, those experiences can bring people of different cultures together, building bridges between communities and fostering greater understanding (even if you never totally understand how throat singing is physiologically possible). Virginia is a state of tremendous diversity in terms of race, national origin, ancestry, and geography, and throughout the commonwealth, you’ll find opportunities to explore sounds that originate from distant corners of the globe, from talented local practitioners to visiting traditionalists. Consider making your world bigger and brighter by exploring these world music bands, events, and festivals. Many of them are family friendly, and all of them can be found right here in Virginia. The term “folk” is often used to describe music that overlaps with genres like old-time or country, but the Richmond Folk Festival clearly takes to heart the broader definition of the term, bringing vital and traditional music from all over the world to downtown Richmond each October: Bluegrass from Southwest Virginia, throat singing from the Russian Republic of Tuva, traditional Sri Lankan dancing, a style of Italian music connected to the belief in ritual possession from spider bites…you name it, the Richmond Folk Festival hosts it, sprawled out across a cluster of downtown green spaces, including Brown’s Island and the grounds of Tredegar Iron Works. Admission is free, but friendly volunteers with orange donation buckets circulate with stickers that reward those willing to contribute to the festival’s mission of showcasing “local” music in the biggest sense of the term. “One World, Many Colors.” That’s the statement that accompanied a rainbow-colored map of the Earth on 2017’s Local Colors Festival t-shirt. The event has been going strong for more than 25 years, aiming to celebrate and promote the Roanoke Valley’s diversity through understanding, education, and an annual event taking place in May, featuring music, food, and fun from throughout the world. 2017’s featured country was the Philippines, but you were just as likely to see the Sauerkraut Band performing authentic German music in Bavarian-style clothing, or Latin Clave fusing salsa, cumbia, bachata, merengue, and Latin jazz. Local Colors carries its mission throughout the year, with additional events like a Taste of Lebanese Culture, a Taste of Syrian Culture, and a Chinese New Year event that displays traditional music, martial arts, fashion, and dance. So often, seeing musicians from around the world perform means expanding your horizons — hearing new styles, instruments, and approaches. Other times, talented and diverse players come together around a shared tradition, and that’s exactly what happens each year at the Heifetz Festival of Concerts. The Heifetz International Music Institute is a 501(c)(3) organization that aims to nurture and develop aspiring musicians from around the world, focusing on extensive practice and high-level classical training, but also wellness, public speaking, and a cross-disciplinary curriculum. There’s also the matter of putting on a dazzling series of concerts each summer in Staunton, including the Stars of Tomorrow, Celebrity Series, and Heifetz Hootenannies. If you were raised on Looney Tunes cartoons, you’d have been led to believe the bagpipe was the quintessential unlistenable instrument, used more as a weapon than as a music-making machine. But once you’ve seen and heard a full pipe band on the move, complete with drum corps, you very well may change your tune. The power and majesty of the bagpipe can be witnessed during Old Town Alexandria’s annual Scottish Christmas Walk Weekend, a nearly 50-year-old tradition whose centerpiece is a parade involving pipers, drums, tartans, dancers, and classic cars. If the pipes aren’t your bag, the weekend offers cultural events for the whole family, including a holiday marketplace, the Holiday Designer Tour of Homes, and the Taste of Scotland, a scotch tasting that may leave you more receptive to the sounds of Scotland as well. 2017 will mark the 22nd iteration of the CCÉ Irish Folk Festival, put on by Comhaltas Ceoltóirí Éireann in partnership with the City of Fairfax and the City of Fairfax Commission on the Arts. Started in 1951, CCÉ is the largest non-profit organization dedicated to preserving Irish music and culture, and their September Fairfax festival showcases performances by the region’s finest practitioners of traditional Irish music, some of whom double as workshop leaders during the event, with featured performers like renowned accordion player, composer, and NEA National Heritage Fellow Billy McComiskey. CCÉ also hosts an annual school for the traditional arts each July called MAD Week, with song, dance, and instrumental instruction for multiple age groups. When residents of Virginia’s Eastern Shore grab their blankets and folding chairs and head to Central Park in Cape Charles, they aren’t just stopping by for an early evening show, they’re often taking a musical journey to a different time and place. 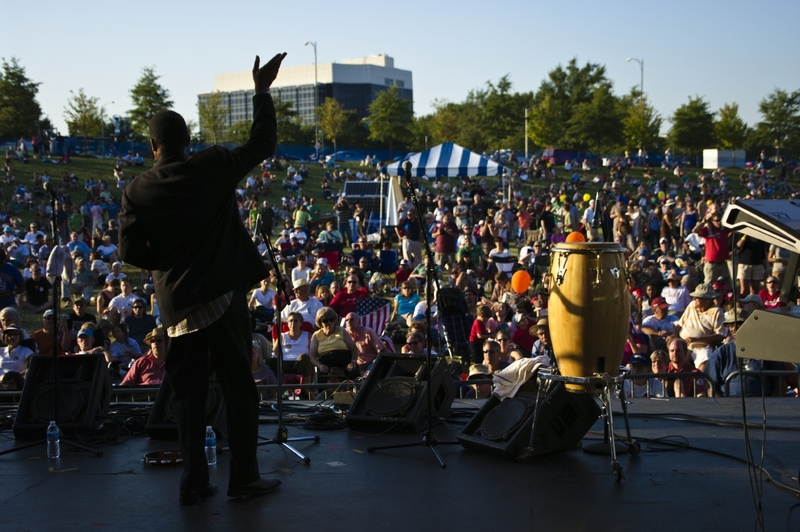 The 2017 schedule includes a number of horizon-broadening acts, including Orchestra Tropikiimba, a group that weaves together styles like salsa, bachata, merengue, calypso, and Afro-pop to demonstrate to the greater Virginia, Maryland, and Washington D.C. area that “there’s so much more to the music of the Caribbean Islands than what most people perceive,” as their website puts it. 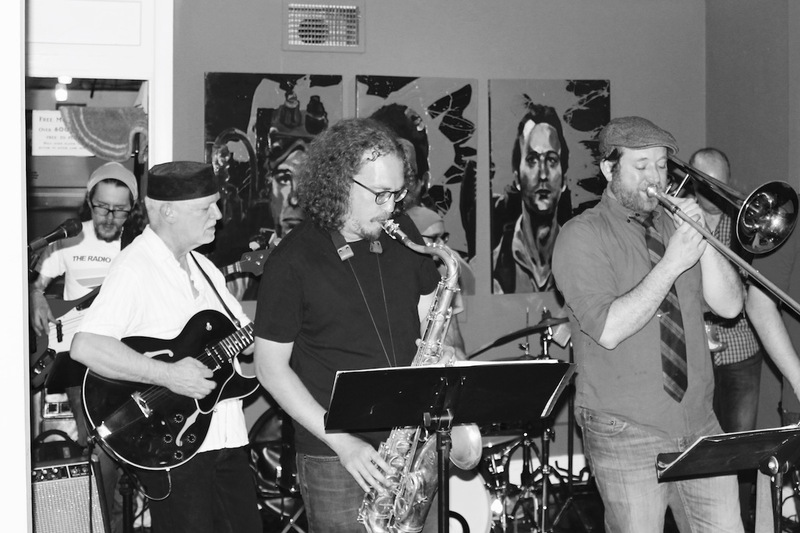 The schedule also includes a quartet led by drummer Robert Jospé, who received a grant from the Virginia Commission for the Arts for his “World Beat Workshop” demonstration. (The Robert Jospé Express Quartet also includes longtime Dave Matthews Band keyboardist Butch Taylor.) And for those who are curious what a pre-World War II Parisian jazz club might have sounded like, check out the Concert in the Park featuring Le Hotclub de Biglick, an ensemble that derives inspiration from Django Reinhardt’s brand of energetic gypsy jazz. Ethiopia experienced a musical “Golden Age” in the late 1960’s and early 1970’s, and the funky style of jazz that came out of that time period inspired George M. Lowe to assemble the Afro-Zen Allstars from Richmond’s deep talent pool of players. Lowe is a self-taught writer, arranger, and guitarist who knows world music inside and out, and while Ethio-jazz was the group’s starting point, the Allstars survey musical traditions from all over the world, from Africa to South and Central America and beyond. The group performs monthly at Garden Grove Brewery, in Richmond’s Carytown shopping district, and their shows are a testament to music’s ability to bring people of all walks of life together… literally: You’re certain to see people dancing with one another while Afro-Zen lays down some of the deepest and most joyous grooves you’ll find anywhere. Can’t make it to Garden Grove? The group’s 2017 Greatest Hits album provides an excellent survey of the styles they incorporate and the vibrant energy Lowe and company are able to summon when they perform. For a quarter of a century, Bio Ritmo has been bringing the beauty and intensity of salsa music to central Virginia and beyond. They formed in Richmond in the early 1990’s, and while they’re fluent in classic salsa approaches, they incorporate influences as diverse as Stereolab and Brazilian psychedelia to render something uniquely modern, personal, and representative of the area they call home. 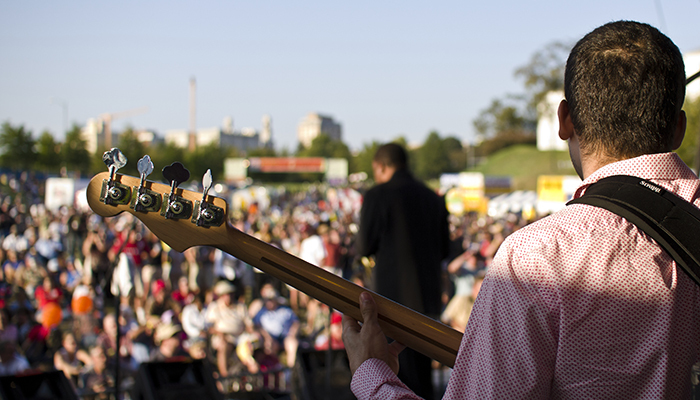 (You’ll find the Richmond skyline on the cover of their 2014 Puerta del Sur album, which translates to “Door to the South.”) The group’s lineup is packed with talented and prolific musicians, from singer Rei Alvarez and pianist Marlysse Simmons to horn player Bob Miller, and many contribute their talents to other internationally inspired groups, so don’t stop here — with Bio Ritmo as your gateway, you’re sure to find additional horizon-expanding world music experiences in Central Virginia. You’d be forgiven for heading to your nearest Greek festival purely for the smokiness of the souvlaki or the sweetness of the baklava. But the music you’ll hear and the dance that accompanies it are just as culturally vital and enriching. Noted Virginian 78rpm record collector Chris King saw how essential to daily life the traditional music of Greece was, and in partnership with Jack White’s Nashville-based Third Man Records label, King curated Why The Mountains Are Black – Primeval Greek Village Music: 1907-1960, a haunting yet hopeful collection with extensive and highly educational liner notes. Each song exhibits powerful feelings of time, place, and purpose, and those same qualities are on display at festivals like Richmond’s at Saints Constantine and Helen Greek Orthodox Cathedral, Norfolk’s at the Annunciation Greek Orthodox Cathedral, Roanoke’s at the Holy Trinity Greek Orthodox Church, Williamsburg’s at the St. Demetrios Greek Orthodox Church, and Newport News’ at the Saints Constantine and Helen Greek Orthodox Church. So grab a gyro and open your ears to the historic and powerfully significant sounds that so inspired Chris King.